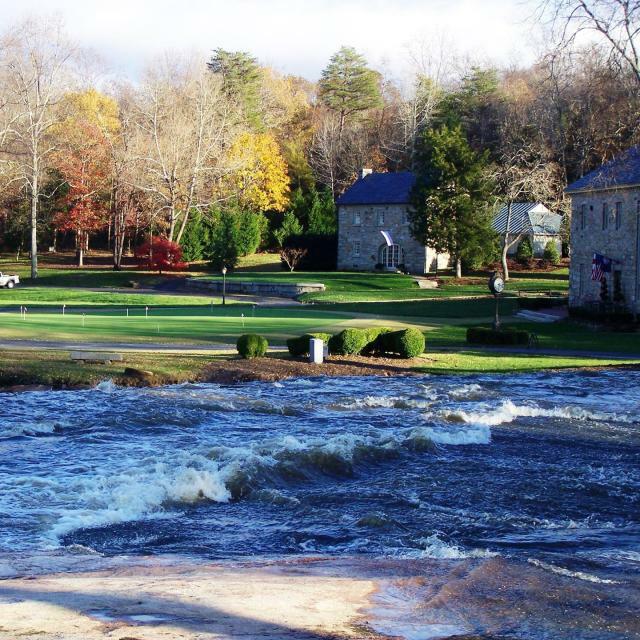 Built in 1990 by local developer J.K. Timmons, the Foundry Golf Club is laid out among the naturally rolling terrain along Fine Creek in Powhatan County, Virginia. Drawing on his long fascination with the game of golf and his wide travels to many of the game's finest courses, Mr. Timmons sought to build a course that would be challenging to both the novice and the low-handicap player alike. As the golf course winds among the wetlands along Fine Creek, the golfer will encounter a wide variety of holes. From doglegs left and right to subtle elevation changes that place a premium on properly judged approach shots to small, aggressively contoured greens, the golfer will find that The Foundry examines every part of his game. Yet, due to the course routing, he will often feel himself alone with his playing companions, making The Foundry a perfect destination for an intimate round with family, friends or business associates.